Russo’s was established in 1992 byItalian-American chef Anthony Russo who sought to introduce authentic and fresh New York-style pizza to the Texas food scene. He started franchising his pizza business in 2008 and it has now expanded to over 50 locations both nationally and internationally. In Houston alone, you’ll find 5 branches throughout the city. True to New York pizza form, the pies atRusso’s are large, filling, and delicious. Choose between specialty pizzas such as cauliflower pizza andtruffle mushroom pizza to classic New York village pizza. Want to customize your own pizza? You’ll have plenty of options incrust size, homemade pizza sauce, and toppings. DoubleDave’sPizzaworks is a Houston pizzeria that’s perfect for the whole family. Located on Westheimer Road, this pizza joint serves delectable pies made with hand-tossed dough, homemade sauces, and only the freshest ingredients. Take a bite out of their trademark pepperoni rolls or order their signature Philly Cheese Steak Stromboli. The restaurant offers different pizza deals every day of the week, so you can get your pizza fix without having to spend too much. Families can also have fun with the pool table and various arcade games in the restaurant. Looking for a little twist on your pizza? The Bombay Pizza Co. does a spectacular job of fusing Italian and Indianflavors. Owned by a mother and son duo, this unique pizzeria offers a selection of Italian-Indian pizzas, salads, and mini-burgers. Try their “Gateway of India” pizza; it’s topped with tandoori chicken, fresh crab meat, and artichoke hearts. The Bombay Pizza Co. also has vegetarian options such as their Saag Paneer pizza, Bombay Chickpea Salad, and Yogi’s Veggie Masala. There’s a good reason why Star Pizza has been Houston’s top pizza house for the past 42 years. Since 1976, this family-owned restaurant has been serving hearty and high-quality pizzas, with their dough and sauces made entirely from scratch. 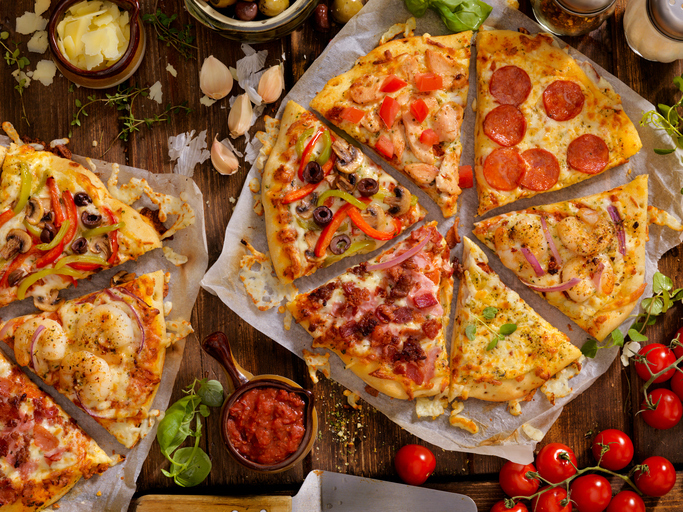 You’ll have plenty of options to choosefrom when you’re ordering your pizza, whether you want a NewYork or Chicago-style crust,half a dozen toppings, extra cheese, and so on. Nothing compares to the authentic Italian cuisine offered by Dolce Vita. Owned by the family of Chef Marco Wiles, Dolce Vita brings a sophisticated, yet casual atmosphere to your dining experience. Order their classic Italian pizzas such as their delicious Zucca, Margherita, and Taleggio pizzas and pair that with a glass of wine from their extensive wine list. No other food scene compares to the one that Houston, Texas has. For more information on the unique Houston lifestyle,call the Hunter Real Estate Group at(713) 572-0824 or send an email to trace(at)hunterrealestategroup(dotted)com today.